The Cape Fear Museum of History and Science is a museum situated in downtown Wilmington, North Carolina. In 1898 a local Southern female hereditary society named the United Daughters of the Confederacy created the museum to conserve artifacts of significant historic value from the Civil War. Now, the museum is run and owned by New Hanover County. Cape Fear museum is regarded as the eldest of the history museums in North Carolina and contains over fifty two thousand artifacts. 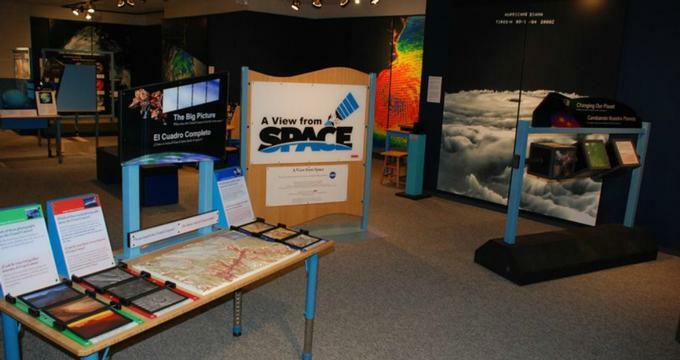 The artifacts display the cultures, history and science of Lower Cape Fear over the decades. It has been in its current location since 1970 and has seen several improvements and expansions since then. The museum is comprised of an expansion built in the 1990s and the main 1930’s historic building. The two story museum has traveling and temporary exhibitions which vary throughout the year, an interactive park and outdoor sculptures, permanent exhibits inside and classroom. The museum is a not for profit organisation run by a large network of volunteers relying on donations and money raised through the membership scheme. The museum is open from Tuesday to Sunday. There are two free to pay parking lots for visitors situated behind the Museum. Within the museum, interpretive displays and permanent exhibits trace the timeline of prehistoric 17th century Lower Cape Fear and the surrounding areas right through from the Civil War to modern day times in the 21st century. The first floor reveals a cast of the skeleton of a Giant Ground Sloth which was discovered in 1991 near Randall Parkway. Nearby, visitors can see the Cape Fear Stories exhibit which presents a historic timeline from the time of Native Americans to modern day. Other exhibits on this floor are the natural history exhibitions which involve a display of wildlife and plants native to the area such as foxes, woodpeckers and beavers as well as information about the weather. The Michael Jordan Discover Gallery is also located on the first floor and includes in depth information about the ecosystem of the local area. Visitors can also browse the small exhibit in honor of Michael Jordan, a Wilmington native. The main exhibit named Cape Fear Stories also begins on the first story. Cape Fear Stories begins with Land of the Longleaf Pine a section where the ancient history of the area is detailed. With everything from prehistoric facts, photographs, American Civil War memorabilia and artifacts and information plaques, this exhibit explains in detail why this Southeastern part of Northern Carolina has become a hub of culture and commerce. The lobby presents a locally renowned wooden boat named a Simmons Sea-skiff boat well as the Arrivals exhibit on the first floor. The title Arrivals refers to those who have set foot in Lower Cape Fear over the decades, how they made it their homes and their methods living there. The second floor takes visitors on a visual journey filled with written information, photographs and artifacts detailing the segregation and racial violence that consumed the city in 1898. The exhibit also displays more modern 20th century stories relating to this topic aswell. The park located next to the museum has been designed to be an interactive experience with exhibits based on the local community. A sculpture called Traces has been inspired by local materials and objects and can be found in the park, created by the artist Joey Manson. Other exhibits outside are the child operated digger, the weather station, the ghost forest photograph collection, the outdoor classroom and the many information boards which teach children about native plants and wildlife. The museum provides Summer Camps for children to have educationally led adventures in the museum and park as well as adapting it to an outreach program. For Kindergarten up to Grade 7 there are age group appropriate Field Trips which children can attend. Each Field Trip is presented by an educator on a specific topic and the students get to get involved with hands on activities. For adults, the museum has an Insider's Tour with a Cape Fear Museum tour guide, talks from qualified professionals and academics, practical workshops and a CuraTOURial tour which involves an in depth tour of the museum and artifacts with a curated member of the museums staff. All of the adult programs require pre booking and have an admission fee unless a member of the museum.